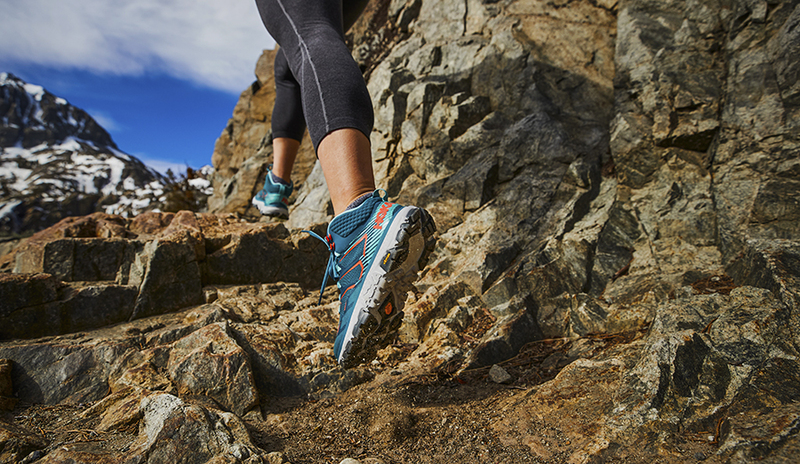 For spring 2019, Hoka has focused their attention on entering the hiking boot category with three styles in a collection called Sky. Founded in France in 2009 by Nicolas Mermoud and Jean-Luc Diard, Hoka One One gained international attention in the running space with sneakers that were oversized, had ultra-thick rocker outsoles, and were dubbed “maximalist” due to the extra cushioning. The shoe design was in sharp contrast to the minimalist trend with zero drop and low cushioning that had gained popularity at the time the company was founded, moreover, while many runners were skeptical, there were also many who embraced the chunky soles for less impact on muscles and joints, especially on the downhills. 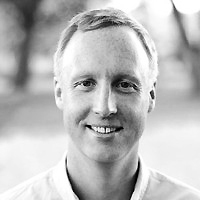 We recently spoke with Andrew Conley, Director of Product at Hoka One One, pictured below, who is heavily involved in the design process and in particular the Spring 2019 hiking-focused Sky collection. 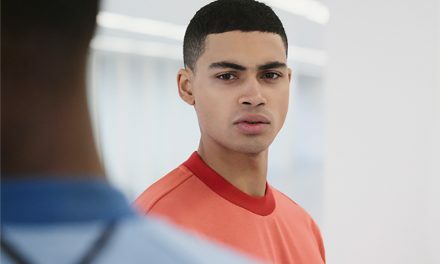 Andrew Conley: From a product perspective for Spring 2019, there is newness in our line, but the most exciting collection is the Sky. We have had products that have existed in the outdoor space before, but we think this is the first time that Hoka is going after the category in a focused way. The name of the Sky collection got its inspiration from hiking up the mountain to be closer to the sky, and synergistically, the name fits with the brand’s history and aspirations. 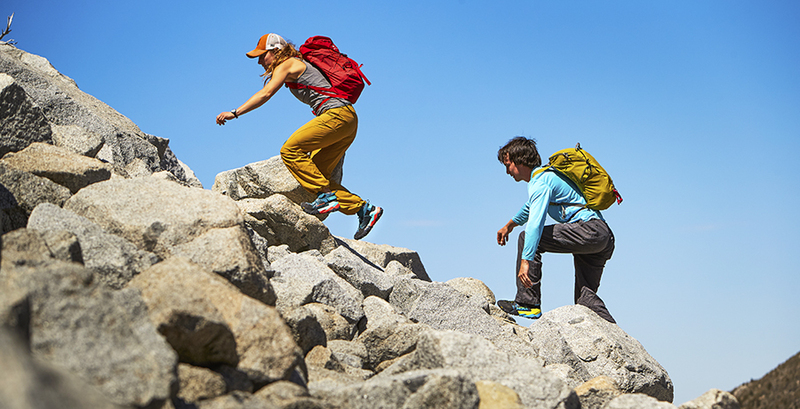 The Sky collection is an extension of the trail for us. It leverages what makes our products unique and enjoyable to consumers in the trail running space. We want to make hiking more natural and more enjoyable with products that are lighter and more comfortable than most of the existing products in the marketplace while being just as stable. The collection resounds with the original founding DNA of our shoes. With a hiking focused shoe collection, it is a natural extension for the brand. To diversify the line, we want to make sure we are following our consumers and taking cues from them as well. One thing we know about our products in the trail running space is that they are being adopted into the outdoor fast hike space as well. 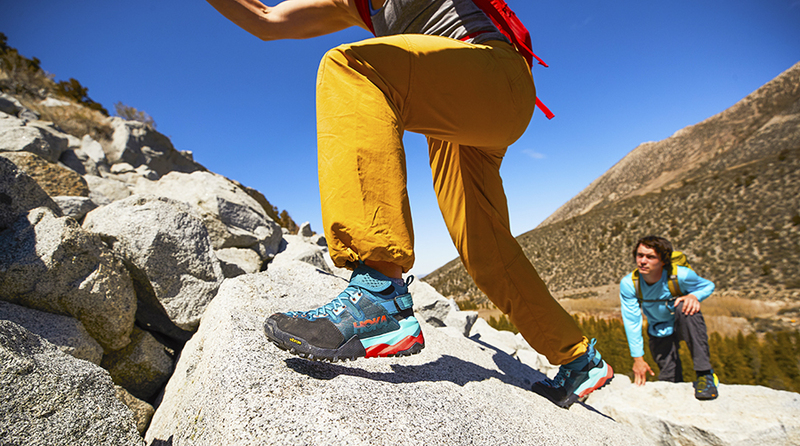 We are offering three hiking boot styles in the Sky collection – the Sky Kaha, Sky Arkali and Sky Toa and at three different price points, shown below. The Sky Kaha, shown above right, is our premium option. 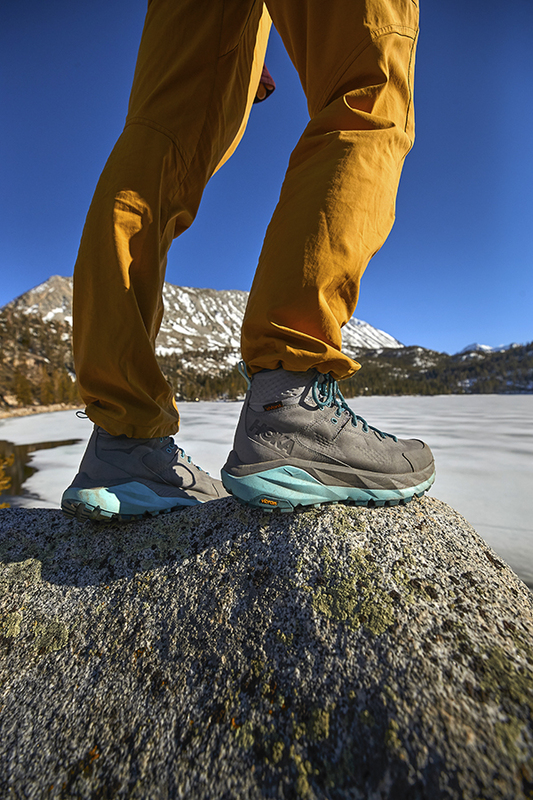 The boot offers ‘supreme weight-to-cushion rationing, waterproof eVent bootie in the upper and a trekking-specific last to support long days on the trail. The Kaha is for the older customer who is looking for structure and support without weight in the run and hike space. 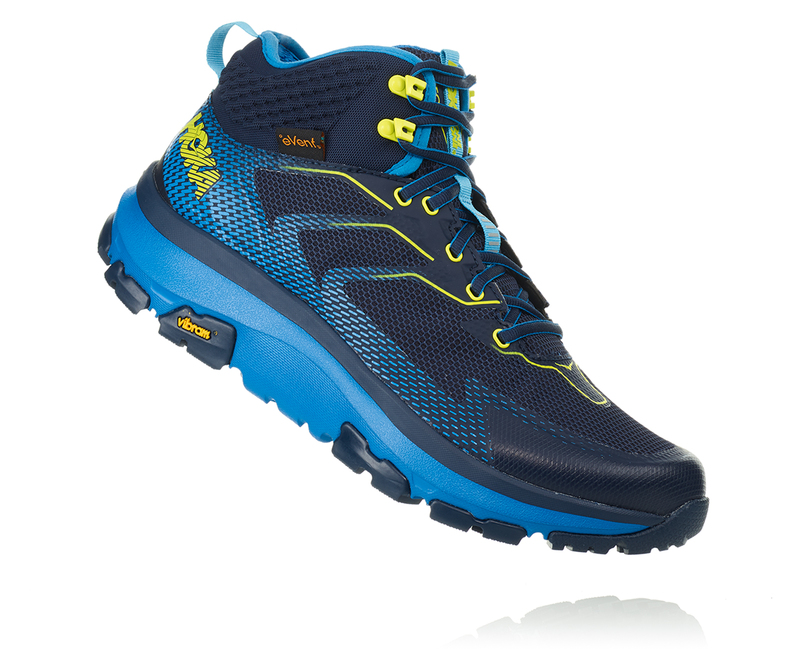 The other two boots, the Arkali and Toa, are bold and targeted for the younger consumer who wants to hike fast and less inclined to participate in multi-day treks with an overnight component but instead is more apt to be out for a two-to-three hour hike and return quickly to their car to enjoy their next activity that day. The Sky Arkali, shown above left, is a bold, impactful design and a unique product in the range. It’s a boot that’s made to help you move quickly in environments that are steep, rocky and technical but it’s also runnable. 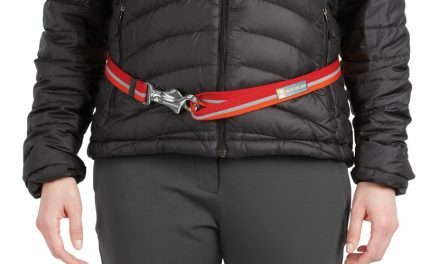 It draws inspiration from running, climbing and hiking products. The defining characteristic is the forefoot built with a robust rand around the forefoot but also intentionally stiff so you can lever over nearly vertical terrain — much like a climbing shoe would work. There are no other products in the marketplace we know of that combines those attributes. 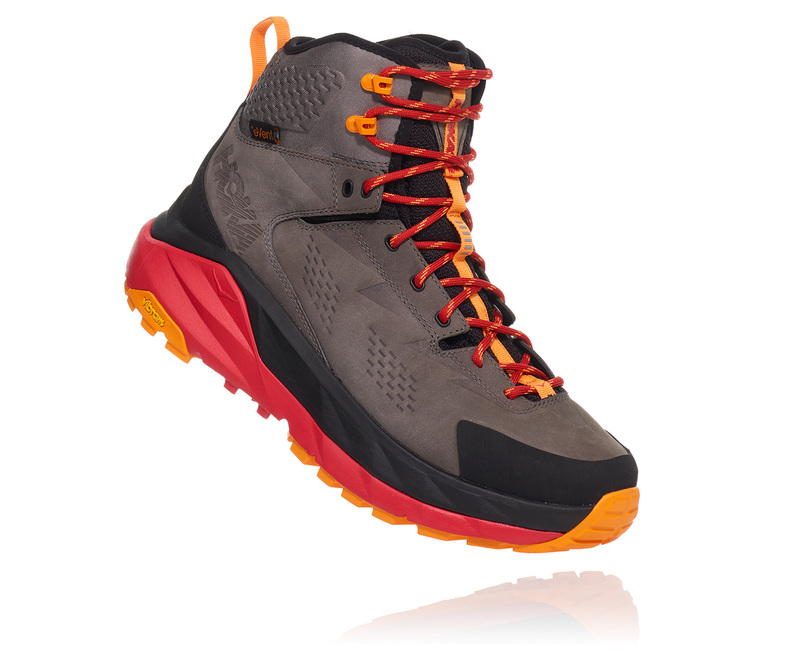 The Sky Toa, shown above middle, is our most attractively priced boot for the young hiker who wants to go on shorter day hikes, move quickly and cares about comfort, cushioning and weight. 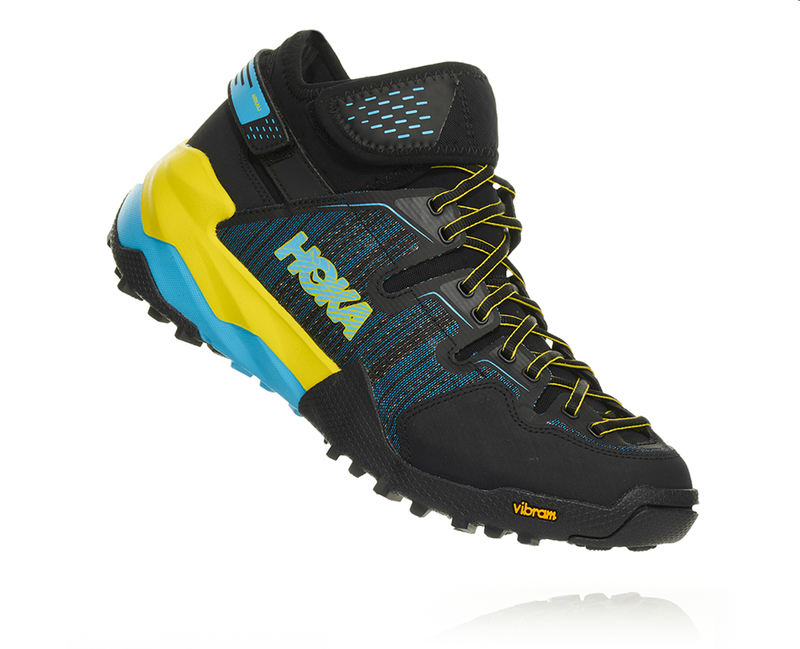 The Toa is a fast hiker just under 15 ounces. We leveraged materials and our design approach from our trail running line. The bottom unit is a blend of UVA and rubber that is super light with an energized feel that you associate more with a running shoe versus a stiff hiking boot. We’re focused on what our consumer is telling us. From a product perspective, we thought we had a license to play in the hiking space. Hoka has a unique DNA in running in that we were born in the outdoor mountain environment. We knew we could compete there technically for those reasons. 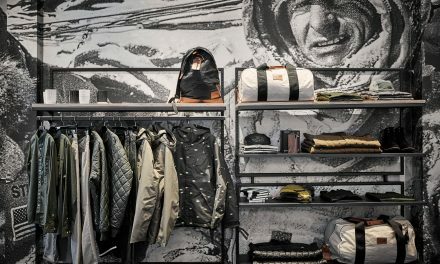 We’re not entering the hiking category because it’s the next thing on our agenda; instead, it’s a place that we can exist authentically and where the consumer and the retail community see that we can be a player there eventually as well. We plan to keep adding more boots in a thoughtful, strategic way. 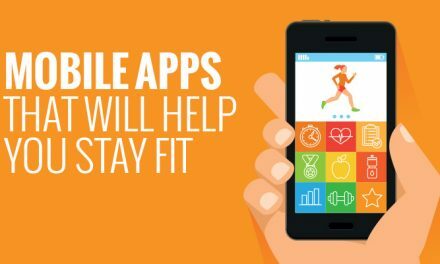 The additional products will play more directly into that fast hiking space — the blurred area between trail running and hiking. Hoka believes we can make a difference in this space for the consumer and the marketplace. We’re thinking about ways we can adapt over our core trail running franchise into that space with some tweaks to the Sky collection. We want to make hiking more relaxed and more enjoyable with products that are similar to our running product — lighter, comfortable and more stable, with a uniquely Hokan feel.